Our introduction to Taoism starts in the morning with some mild hiking on the beautiful and peaceful Mount Qingcheng. 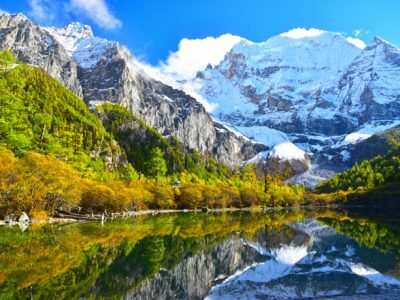 The mountain is home to 36 peaks and is amongst the most important centers of Taoism in China. In Taoist mythology, it was an important site of the Yellow Emperor’s studies and became host to many Taoist temples and sites that line the paths to its peak. 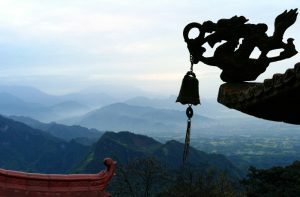 On this tour guests can learn more about the harmony theory that’s at the heart of Taoist beliefs. Adding to this, travelers are treated to spectacularly tranquil natural sceneries as the region remains green all year round. 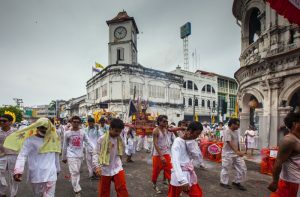 The Phuket Vegetarian Festival (or Nine Emperor Gods Festival) is a yearly event taking place during the ninth lunar month – and is one of the most auspicious events on the island of Phuket. 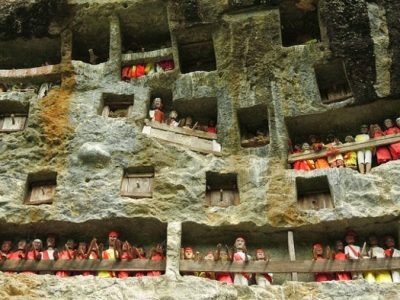 Every year crowds of devotes assemble in Chinese shrines around the island, followed by avid photographers hoping to get the shot of their life. 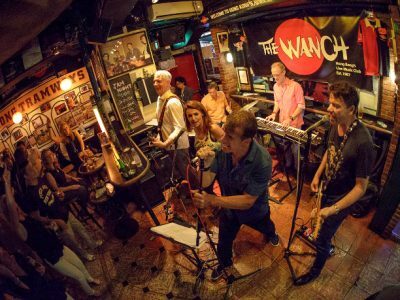 The Vegetarian Festival is an internationally known event, and while it also happens in a modest way in Bangkok around the same dates, the largest celebrations are found in Phuket. 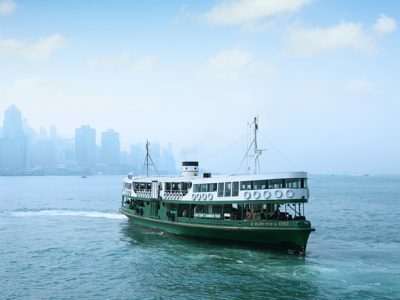 It dates back roughly 150 years to when Chinese tin mine workers were settling on the island and it was hit with the spread of a fatal disease, leading to the loss of many lives. A group of Chinese performers realized they had forgotten to pay homage to the Nine Emperor Gods (Kiu Ong Iah) in the first nine days of the month. Kiu Ong Iah was then invited to Phuket and as a mark of respect, his followers abstained from eating meat, drinking alcohol and a number of other practices. To this day worshipers still follow ten principles to cleanse their spirit, while devotees will go in procession, self-inflicting all kinds of tortures to shift other worshipers evil onto themselves in order to bring luck. For several days on both sides of Phuket Town, streets leading to shrines are home to an array of vegetarian food stalls. 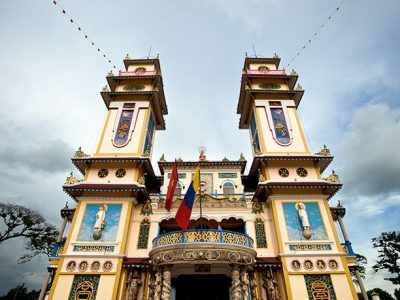 The main event is a procession of worshipers, all dressed in white or yellow, gathering around a giant bamboo pole held upright to invite divinities to come down to earth. Expect a full week of firecrackers, parades, piercings… and of course, vegetarian food. Apparently those receiving piercings feel no pain in the process – not something we are jumping in to try but it certainly makes for a fascinating spectacle!